19% of Copa Airlines passengers were over the age of 60. 8% of Copa Airlines passengers traveled with kids under 14. 27% of Copa Airlines passengers were millennials. 54% of Copa Airlines passengers were female. Miami was the most popular destination for Copa Airlines passengers. Miami International Airport was the most popular airport for Copa Airlines travelers. Copa Airlines to Begin New Non-Stop Flights Connecting Suriname with Panama from July 6! Copa Airlines announced the further expansion of its network in South America with new non-stop flights, connecting Suriname with its Panama City hub. The airline will start flights between Johan Adolf Pengel International Airport (Paramaribo, the capital of Suriname) and Tocumen International Airport (Panama City) from July 6, 2019. Copa Airlines will operate flights twice a week on Wednesdays and Saturdays using Boeing 737-700 aircraft, which has a capacity for 12 passengers in Business Class, and 112 passengers in the Main Cabin. 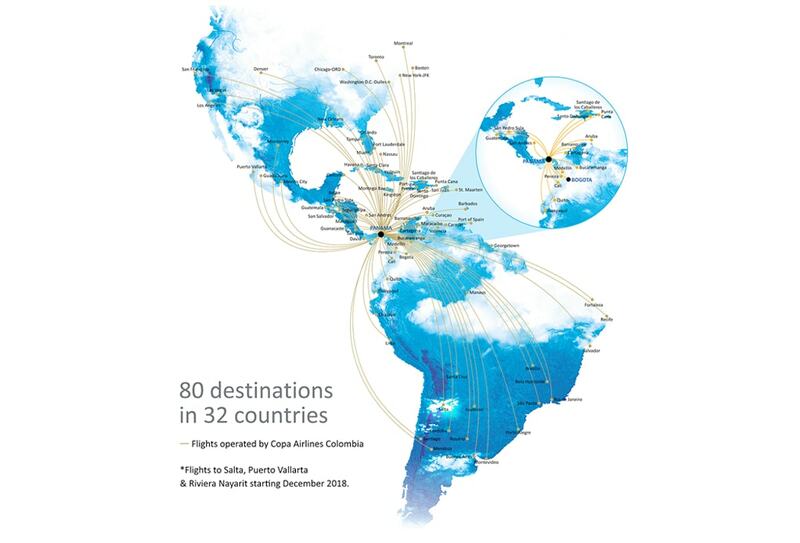 Currently, Copa Airlines operates an average of 350 daily flights through the Hub of the Americas located at the Tocumen International Airport (Panama City). 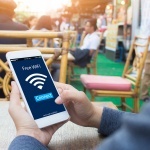 Copa Airlines' frequent flyer program, Connect Miles allows passengers to add miles each time they fly Copa Airlines or any of its partner airlines such as United Airlines. These miles can be redeemed for last minute seat upgrades, priority check-in, access to airport VIP lounges, priority boarding and other such benefits. For a taste of Central American paradise, head to Panama. With scorching temperatures year round, visit the crystalline waters of Bocas Del Toro for strolls in mangrove swamps or let your hair down at night at one of Bocas many bars and restaurants with stunning coastal views. Founded as Companía Panamena de Aviacion in 1947, Copa Airlines (CM) is the national airline of Panama.The airline flies to about 74 destinations in 31 countries in the Caribbean, North, South and Central America. Based on its 2015 on-time performance, Copa Airlines was recognized by FlightStats as the most on-time airline in Latin America for the third consecutive year, and was ranked No. 2 worldwide by OAG. In addition, Copa received the award for “Leading Airline in Mexico and Central America” at the 2015 World Travel Awards. Copa has earned three Skytrax 2016 awards: “Best Airline in Central America / Caribbean,” “Best Regional Airline in Central America / Caribbean,” and “Best Airline Staff Service in Central America / Caribbean. Copa Airlines offers two main classes of service - Business Class and Economy Class. Business Class: Business Class flyers enjoy access to special check-in in counters, priority boarding, and baggage handling. In-flight entertainment onboard amenities include comfortable leather seats with fully reclining backs and leg rest, special meals on international flights for meeting nutritional, dietary, religious, or any other type of needs. Meals depend on the level of service in a flight, taking into account destination, duration, and time of departure, a range of premium wines & liquors, and courtesy kit on long-distance flights- toiletry items, hot towels, and bottled water on flights lasting more than 6 hours. Economy Class: All passengers flying economy class on Copa Airlines enjoy relaxing seats that recline into comforting backs. Complimentary drinks are served in addition to a specially thought out meal menu. Copa Airlines flights are equipped with in-flight entertainment systems that allow you to choose from a range of movies and TV series. Every month the airline offers a variety of movies and a wide selection of music channels for entertainment. For convenience, the airline has Spanish, English and Portuguese channels available as part of their programming. The fleet of Boeing aircrafts of Copa Airlines is fitted with Inflight-entertainment, so you can tune into 12 different radio stations from the comfort of your seat. The airline features an on-board video as well as an in-flight magazine - Panorama de las Americas that has interesting reads on travel destinations, science, world economy, technology and much more. Young passengers, traveling alone on Copa Airlines are paid special attention right from their arrival till the time they are received at the destination by someone authorized by the guardian. Car seats, foldable strollers and additional bags are allowed to be checked-in for passengers traveling with infants. In case a passenger requests for special meals on grounds of religious, medical or dietary reasons, fruit plates, kosher, vegetarian or kid's food can be opted for. Physically impaired and mentally disabled passengers are allowed to fly with escorts provided they are between 18-60 years of age. When you fly with Copa Airline, you can easily skip the long queues at the airport check-in counter by using the web check-in facility on Copa.com or download the mobile app to do web check-in directly on phone. Boarding passes are available for printing between 36 & 1 hour prior to departure. For flights to/from USA, boarding passes are available between 24 hours and 1 hour prior to departure.